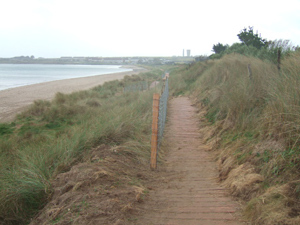 Dr Smith provided ecological support for a planning application for a housing development in Portrane, Co. Dublin. 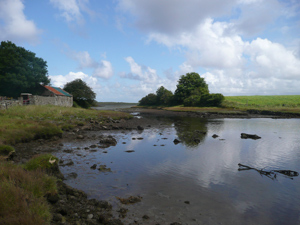 The key ecological issues were coastal erosion and location near Rogerstown Estuary Special Area of Conservation (SAC) and Special Protection Area for birds (SPA). Dr Smith carried out field and desk studies to assess the risks of coastal erosion to the proposed development and determine if the proposed development would increase the already significant levels of disturbance to the adjacent marram dune habitat. 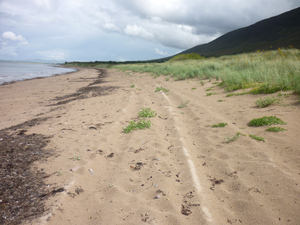 An optimal setback of the development from the foredune was recommended based on best practice in Ireland and Scotland, and a programme of dune restoration was designed, including conversion of improved amenity grassland to natural dune grassland and repair of gaps in the dune crest using sand-accumulation fencing.